"Affliction produces endurance, endurance produces proven character, and proven character produces hope". - Romans 5:3-4. 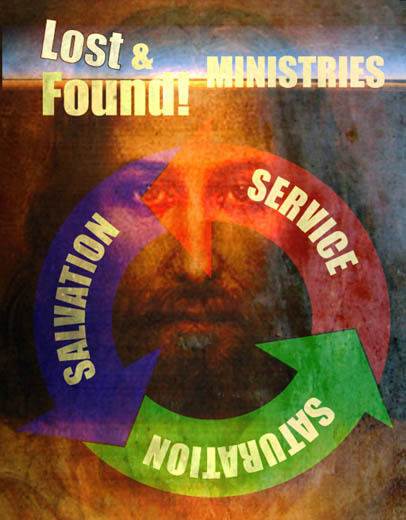 Pastor Chris has been given a vision by God to create, with faith and obedience, Lost & Found Ministries. Through the guidance of the Holy Spirit, the ministry provides a safe haven for individuals to come and receive the opportunity to choose Jesus Christ as their personal savior: who is the Way, the Truth and the Life. Working with young adults, Lost & Found Ministries encourages them to seek out God's plan for their life. The foundation (principles and guidelines) for Lost & Found are based on the Living Word of God, the Bible. Our work attempts to focus on the needs of young adults, ranging in ages from 18 years and older, who are broken-hearted and feeling alone. We attempt to reach out not only to these young adults, but to their parents. We attempt to find opportunities for them, whether it's some crucial services, or much needed care or supplies. We reach out to the community in search of needy families and individuals who require assistance with food, clothing, furniture or shelter. We welcome your donation to help us to improve our outreach services.